Welcome to CrossFit Hoffman Estates. When you join CrossFit Hoffman Estates you’re joining a group of people committed to reaching goals. A diverse group, who share a common bond in CrossFit training and inspire each other to reach personal bests in their pursuit of functional fitness. So, whether you’re new to CrossFit or an elite athlete, take a look around and get to know us. Give us a call or drop in for a visit if you have questions and if you decide you're ready to jump right in, simply sign up for a complimentary session. CrossFit is for anyone looking to improve their level of functional fitness. We'll start you out with a free personal session to introduce you to the foundational movements of CrossFit. Your coach will assess your strengths and weaknesses, discuss your goals and determine which CrossFit Hoffman Estates program is right for you. Whether you're looking for a new gym, a new coach or a new approach, you'll find an environment and inclusive community that will inspire and motivate you to be your best. CrossFit Hoffman Estates was built to provide athletes of all levels with the tools, techniques and motivation to ensure their athletic development continues to progress and exceed goals. Our certified trainers make sure the CrossFit Hoffman Estates Programs, Courses and WODs are developed to produce healthy results for every athlete. We're focused on your goals. Our aggressive approach to CrossFit has been tested and proven time after time over a wide range of novice, experienced and elite athletes. We'll take you through the foundational, functional movements of CrossFit, assess your personal fitness, discuss your goals, and develop a preliminary personal plan of attack. Join us, what have you got to lose? Crossfit? Yeah, you got this. Whether this is your first dance or another day grinding it out, you're in for a great time. Signing up for a free introductory session will give you a great understanding of just what you can accomplish through comprehensive CrossFit training at CrossFit Hoffman Estates. We know it can be intimidating for those of you who are new to CrossFit, so upon your arrival we'll have a discussion about your fitness goals and share with you just how effective CrossFit can be in enhancing functional fitness. After a quick rundown of the gym and a talk through a typical WOD (Workout Of the Day) you'll warm up with one of our certified trainers. No worries, think simple stretches and maybe a few calisthenics to prepare your body for the work ahead. Once you're warmed up, your coach will take you through a 45 minute workout geared to your current level of fitness. 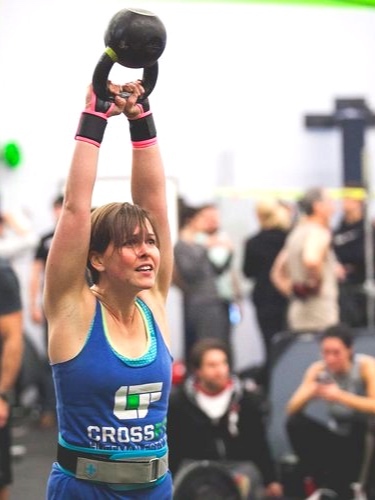 If you're new to CrossFit, you'll be introduced to a few foundational movements of the sport. If you're a seasoned pro we can dial it up accordingly. Regardless of your fitness level, your coach will assess your ability and provide input on proper technique to ensure a safe, productive and educational workout. At the end of your session, we'll review your workout, discuss training options and develop a plan that will enable you to reach your goals. You may start out with a CrossFit Foundations class, select Individual training, or choose to join one of our Group sessions. Remember, we're here to inspire, inform and bring out your best. Certified Trainers, here to bring out your best. We know you're here for a reason – let's just call it a personal goal for now. At CrossFit Hoffman Estates we believe it's our job to see that you reach your goals. Whether you're looking to get in the game, up your game or compete at the highest levels of your sport, we're here to make sure you receive the best CrossFit training available to be everything you can physically be.